On my last trip to Marrakesh I finally made it out to the Atlas mountains, or the foothills at least. To make this even more interesting we traveled through the foothills of the Atlas mountains on camels. It was definitely an exciting experience with camels going rogue to eat cactus, refusing to walk in the mud, and one even falling down with one of my colleagues perched precariously on top. 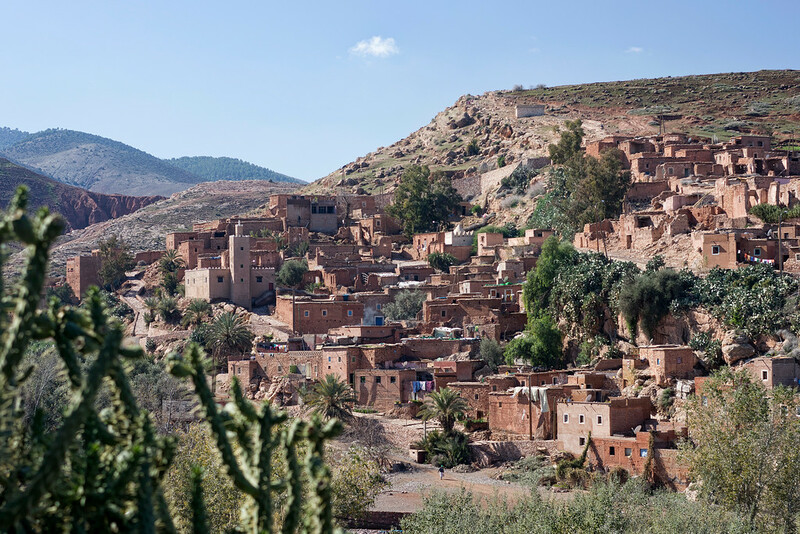 Once we survived this adventure, we were on our way back to Marrakesh when our guide pulled the car over so we could see this small Berber village in the Asni valley.